Heroes: Ylissean Travelers Banner Now Live! 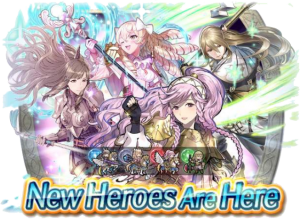 Four new heroes have just arrived in Fire Emblem Heroes! 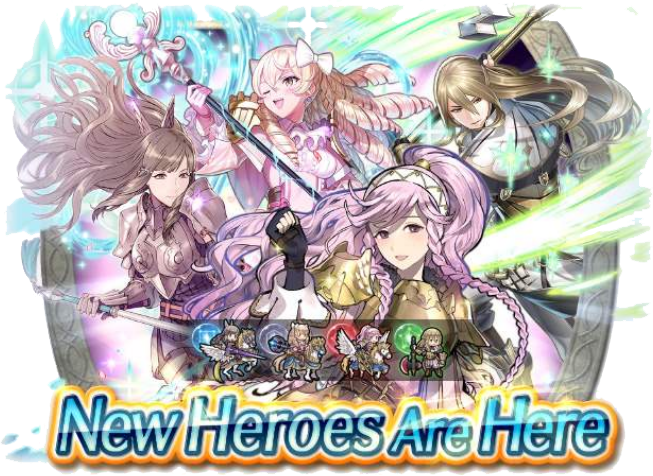 Spend some orbs on the Ylissean Travelers Banner for your chance at summoning Flier Olivia, Sumia, Libra, or Maribelle. Feh just recently revealed these four heroes during the recent Summer Feh Channel. In addition to their new weapons, each of them also comes with a new skill, too! Check out the YouTube trailer below for more details. You can also scroll on down below for a text breakdown of their skills. Releasing alongside the banner is also a new story chapter: Prince of Ice. The new chapter introduces Prince Hríd, Fjorm’s brother. Until now, we’ve only seen him mentioned in conversation. Complete all five chapters and the associated quests to earn up to 20 Orbs! We also get a new Log-In Bonus for a further 13 Orbs. The Ylissean Travelers Banner will be available for about three weeks, ending on 10 August. Good luck adding some new units onto your team! Reprisal Lance+ (Lance, Mt 14): If foe initiates combat, grants Atk+6 during combat. Reposition (Assist): Target ally moves to opposite side of unit. Close Def 3 (A slot): If foe initiates combat and uses sword, lance, axe, or dragonstone, grants Def/Res+6 during combat. Atk/Def Link 3: If a movement Assist skill (like Reposition, Shove, Pivot, etc.) is used by unit or targets unit, grants Atk/Def+6 to unit and target ally or unit and targeting ally for 1 turn. Wo Gùn+ (Axe, Mt 13): Deals +10 damage when Special triggers. Noontime (Special): Restores HP = 30% of damage dealt. Renewal 3 (B slot): At the start of every second turn, restores 10 HP. Spur Atk/Res 2 (C slot): Grants Atk/Res+3 to adjacent allies during combat. Martyr+ (Staff Assist): Restores HP = damage dealt to unit +50% of Atk. (Minimum of 7 HP.) Restores HP to unit = half damage dealt to unit. Miracle (Special): If unit’s HP > 1 and foe would reduce unit’s HP to 0, unit survives with 1 HP. Dazzling Staff 3 (B slot): Foe cannot counterattack. Skuld (Sword, Mt 16): If Sing or Dance is used, grants Atk/Spd/Def/Res+3 to target. Bracing Stance 2 (A slot): If foe initiates combat, grants Def/Res+4 during combat. Chill Spd 3 (B slot): At start of turn, inflicts Spd-7 on foe on the enemy team with the highest Spd through its next action. Guidance 3 (C slot): Infantry and armored allies within 2 spaces can move to a space adjacent to unit. Is this the banner that will be used for the Tempest or can I save my orbs? PD: Clearly, it is Libra who will be downgraded to 4*. Cause the waifus never get demoted. Because Sumia has Close Defense and that lance, Maribelle has Dazzling Staff, and just look at Olivia! I might be wrong, but they try very hard to keep the good skills at 5*. All my orbs for Olivia, but she shuns me! It’s performing arts all over again! It’s safe to stay Hríd will be the August Legendary Hero. Yay! He has a sword! 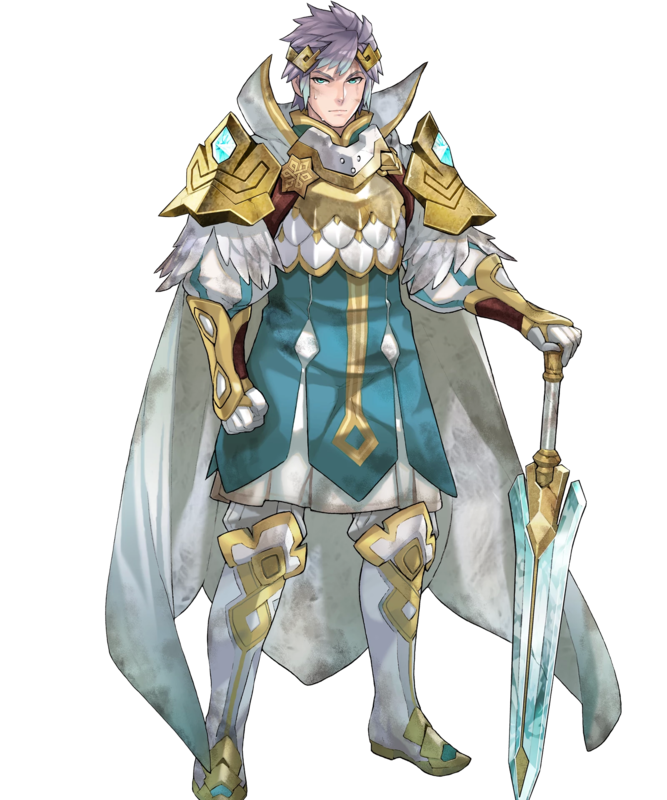 With Hrid being a sword user, I wonder….. who will the next LH be? We know it’s Blue. A lance wielding Eliwood, Sigurd, Seliph, or Xander? Maybe Light Priestess Micaiah? Or an original character? Hard to tell. So, Hríd is Alphonse 2.0. I’ve been looking for a while now, but I still can’t draw any lines between the two of them. The closest thing I could come up with is that the two share identical poses that are flipped. Hríd looks really good actually. 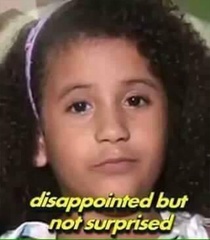 Also surprised and kinda sad that we got another Awakening banner, but still don’t have Owain. We finally get Sumia though! I’d guess Owain, despite his popularity on both the homefront (IE, Japan) and amongst the Western fanbase, is probably lower on the list of IS’ priorities since he’s technically already in the game as Odin…the two might be radically different classes, but they are the same character, so that’s my thought as to why we might not have gotten Owain yet. And probably the same reason for why Severa hasn’t shown up yet either. That makes sense, given that when they did the Warriors Awakening DLC maps, they represented Owain with Odin as if it was the exact same character (I suppose it technically is, but yeah). IF Azura gets a new Weapon refine for her lance maybe she could get the same effect as Skuld & Urdr with +3 on all stats.